The CRAVAT is a neckband, the forerunner of the modern tailored necktie and bow tie, originating from 17th-century Croatia. 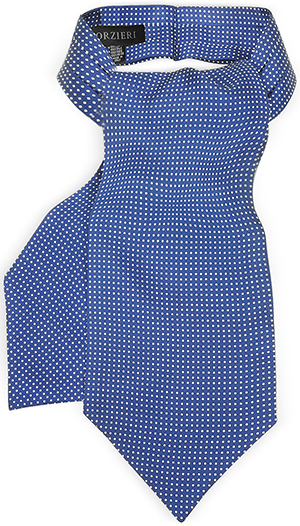 From the end of the 16th century, the term band applied to any long-strip neckcloth that was not a ruff. The ruff, a starched, pleated white linen strip, originated earlier in the 16th century as a neckcloth (readily changeable, to minimize the soiling of a doublet), as a bib, or as a napkin. A band could be either a plain, attached shirt collar or a detachable "falling band" that draped over the doublet collar. It is possible that cravats were initially worn to hide shirts which were not immaculately clean. Alternatively, it was thought to serve as psychological protection of the neck during battle from attack by a spear. 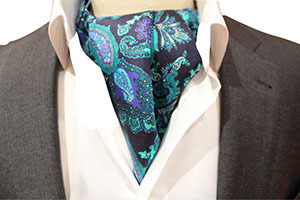 ASCOT TIE - narrow neckband with wide pointed wings, traditionally made of pale grey patterned silk. 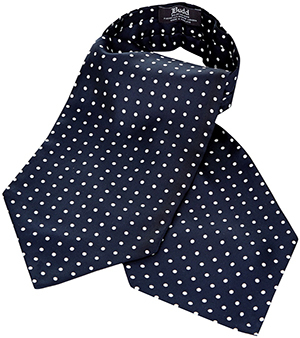 Cravat - neckband, the forerunner of the modern tailored necktie and bow tie, originating from 17th-century Croatia. 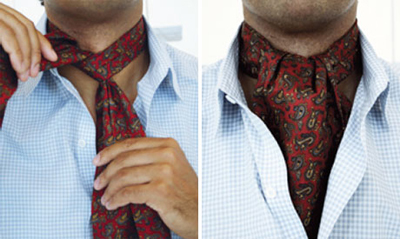 How To Tie An Ascot & Cravat - Gentleman's Gazette. 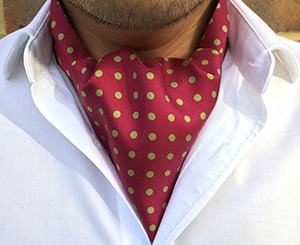 The Cravat Comeback - Menswear Style. 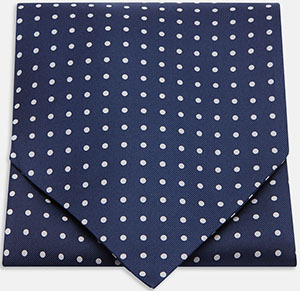 What's the difference between an Ascot & a Cravat? 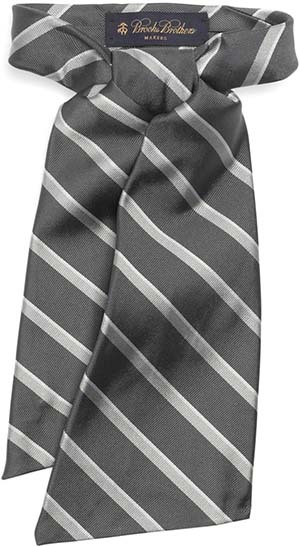 - ABC Neckties. Andrew's Milano - "100% Silk Handmade in Italy." Cravats/Ascots. Brooks Brothers - founded in 1818. 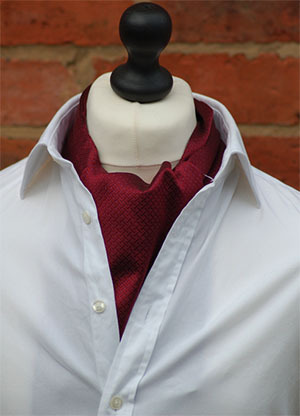 Ascot tie & cravat. Budd Shirt Makers - established 1910. Cravats. Cleofe Finati - by Archetipo. Cravats. Cravat Club London - since 2014. "Handcrafted in England". 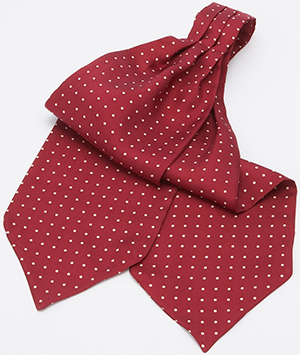 Silk cravats. 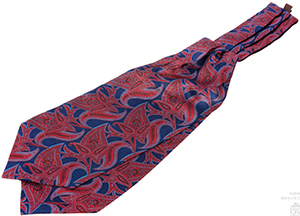 Essential Ascots - "Hand made in England using fine Italian silk." 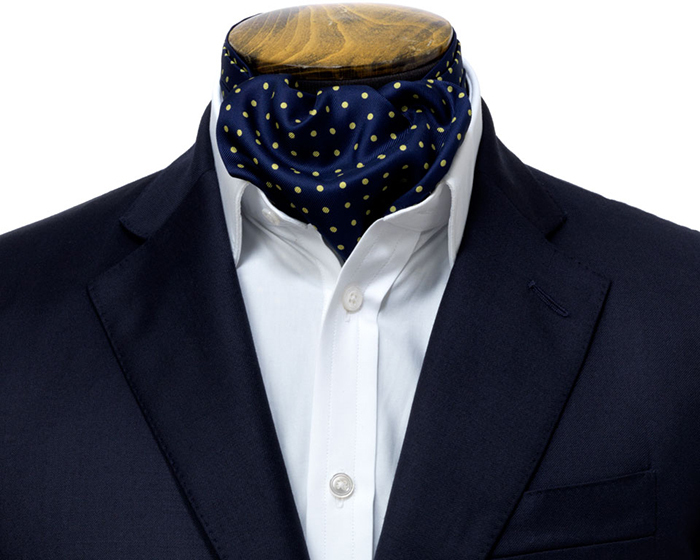 Luxury Cravats & Ascot Ties. Forzieri - since 1999. Silk ascot ties. J.PRESS - since 1902. Ascots. T.M.LEWIN - established 1898. Jermyn Street, London, U.K. Cravats. TURNBULL & ASSER - founded in 1885. "Made in England." 71 - 72 Jermyn Street, London, U.K. Ascots. YVES SAINT LAURENT - cravat.